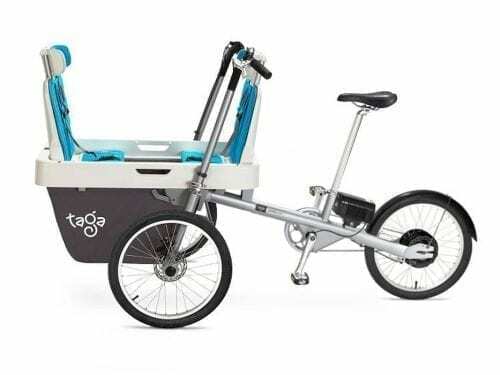 The Taga 1.0 Model is a convertible bicycle-stroller – Combining the fun of a cargo bike with the functionality of a luxury stroller. Allowing you to spend quality time with your child while getting a geat workout or running day-to-day errands in total safety and comfort. 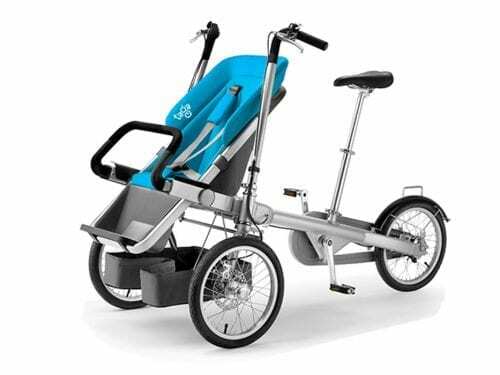 In just a few easy seconds, the Taga 1.0 converts from an easy and comfortable bicycle to a stroller, making it super easy to navigate in stores, board trains, and ride elevators. 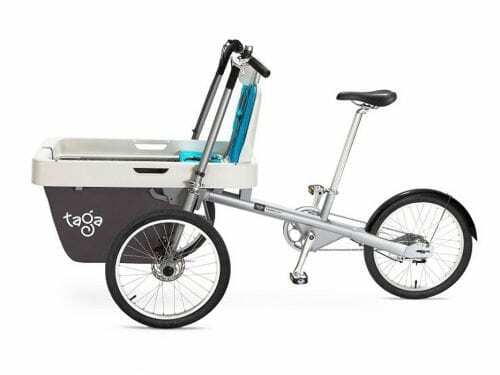 The basic configuration includes the Taga’s chassis + child seat + under-seat basket + sun canopy. 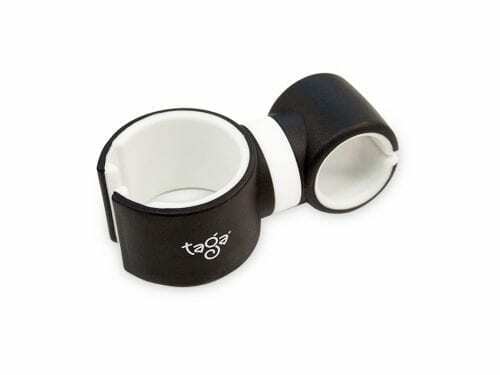 Basically, it is everything you need in order to join the Taga community. 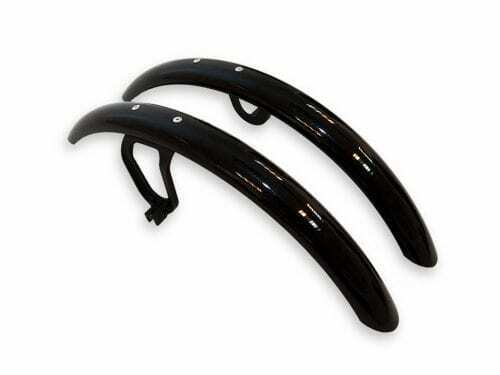 FRONT BRAKES Promax disc brakes on both wheels. RARE BRAKES Shimano Nexus drum brake.